My four year old gets so excited about Christmas. He wanted to start decorating the house now, so he unboxed the Australian Nativity Scene and placed it on the piano. Look what arrived on our lawn on Thursday. Hopefully, we will be swimming by next week. I think I will plant two palm trees next to it and pretend I am in Fiji. 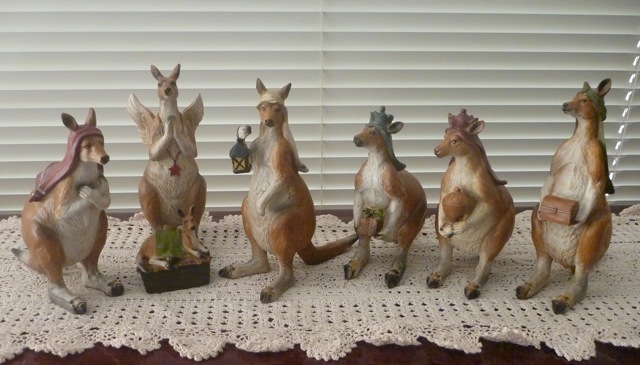 I love the Ausie Nativity Scene! Swimming soon? – and here we are just getting out of the swimming season. 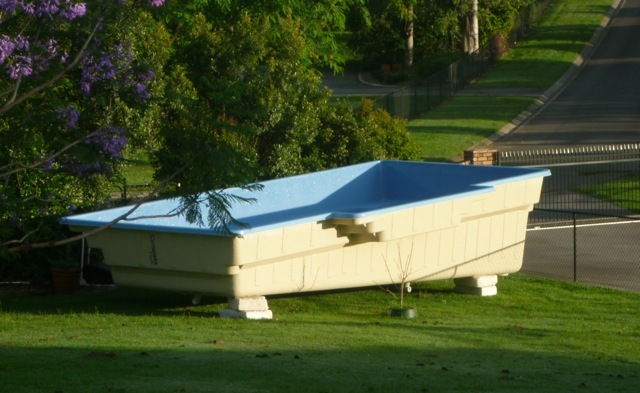 I love the nativity scene very Australian.WOW lucky you A new pool Good to keep you cool in the hot weather Your little boy will be happy.